Hi everyone! 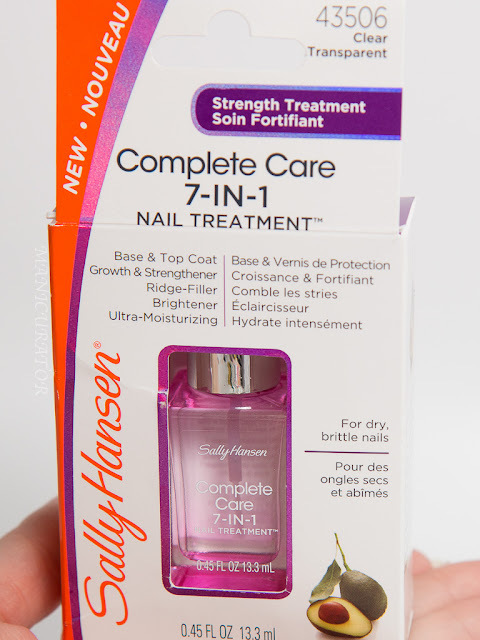 Today I'm sharing my thoughts and showing the results of the Sally Hansen Complete Care 7-in-1 Treatment challenge. 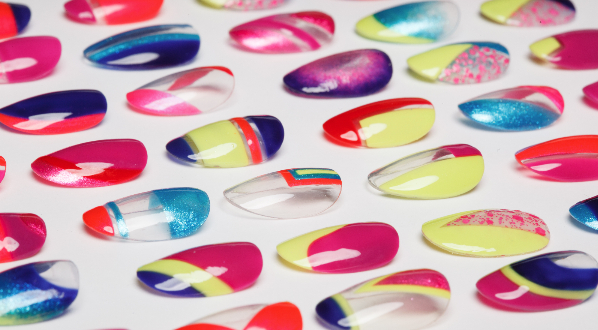 This nail treatment just got even better and delivers visible nail results. 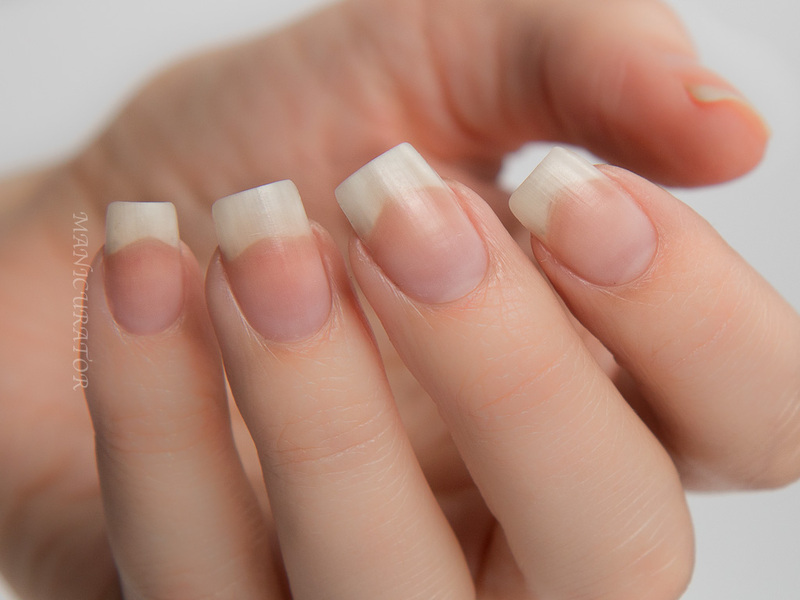 Whether your nail problem is dryness, ridges, dullness, breakage, peeling or all of the above. 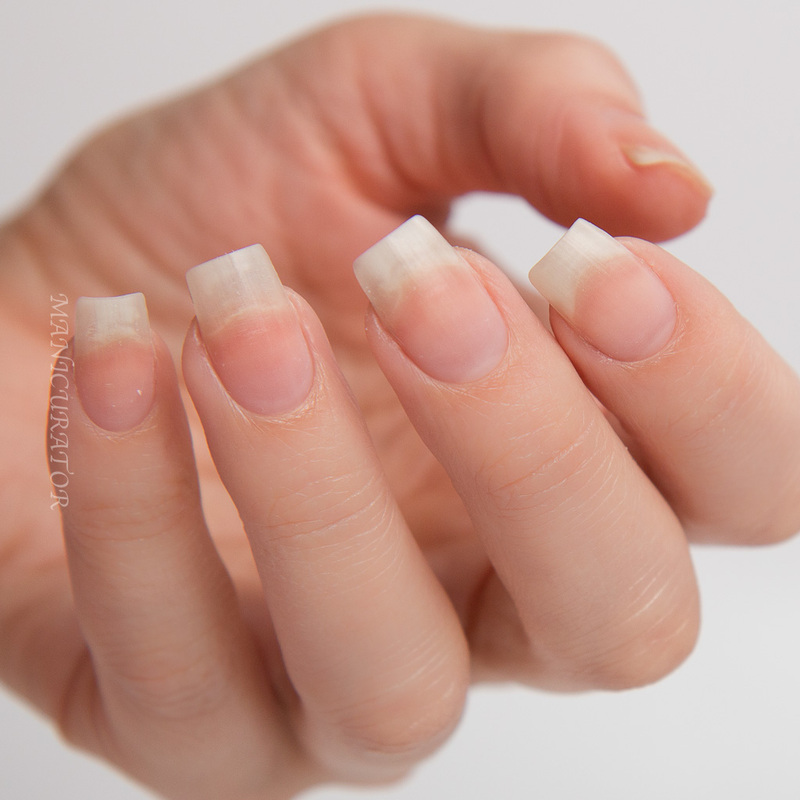 This product helps restore dry brittle nails making them visibly healthier and beautiful. After just 3 days nails look shinier, stronger, mega-moisturized and brighter with ridges filled. The exclusive patented formula, with Avocado oil, Sea Salt, Pomegranate Extract and Calcium immediately protects and continuously nourishes nails, helping create the perfect foundation for any manicure. The product features a new brush for an even application and dries quickly to a smooth hard finish. This versatile treatment can be used alone or with your favorite Sally Hansen nail color when applied as a base coat or as a protective top coat. 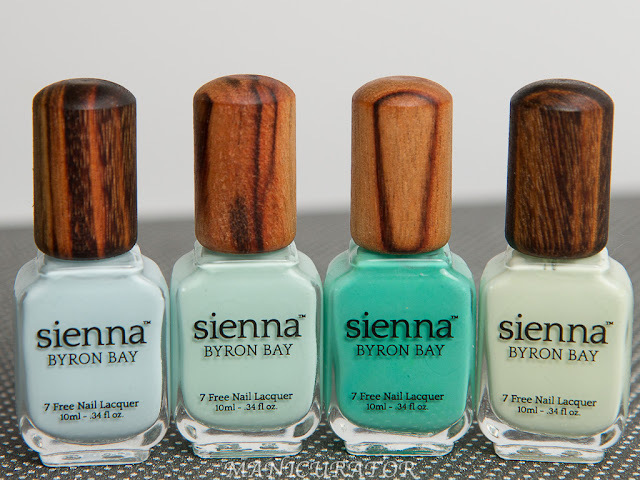 To wear it alone, simply apply two coats to clean, dry, bare nails. Use it to refresh a manicure by brushing on one thin coat to nails. It goes on smoothly and evenly for a streak free application. Here's my completely unedited before photo. I haven't had an issue with breakage or peeling in quite some time, but there is some dryness, dullness, and I do have ridges that I ever so rarely will buff out. My after photo, after applying for 10 day. I had so much growth that I had to file down to keep them at a comfortable for me length. I did find that it went on just as described: smoothly, evenly and streak-free. My nails looked better even when it wasn't on. 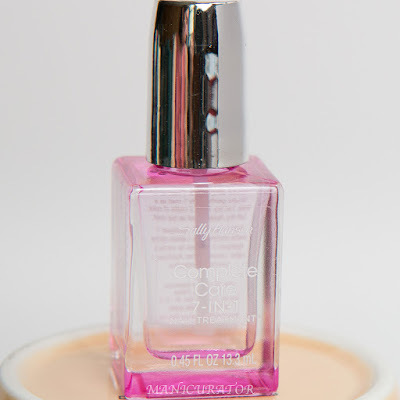 I will definitely continue to use this product as a base coat, or when going bare, it gives a beautiful gloss. Unedited after photo, showing bare nails after the treatment. They do appear more moisturized than the before pic. My post wouldn't be complete without a nail art manicure using two shades from Sally Hansen Miracle Gel Voyager collection. 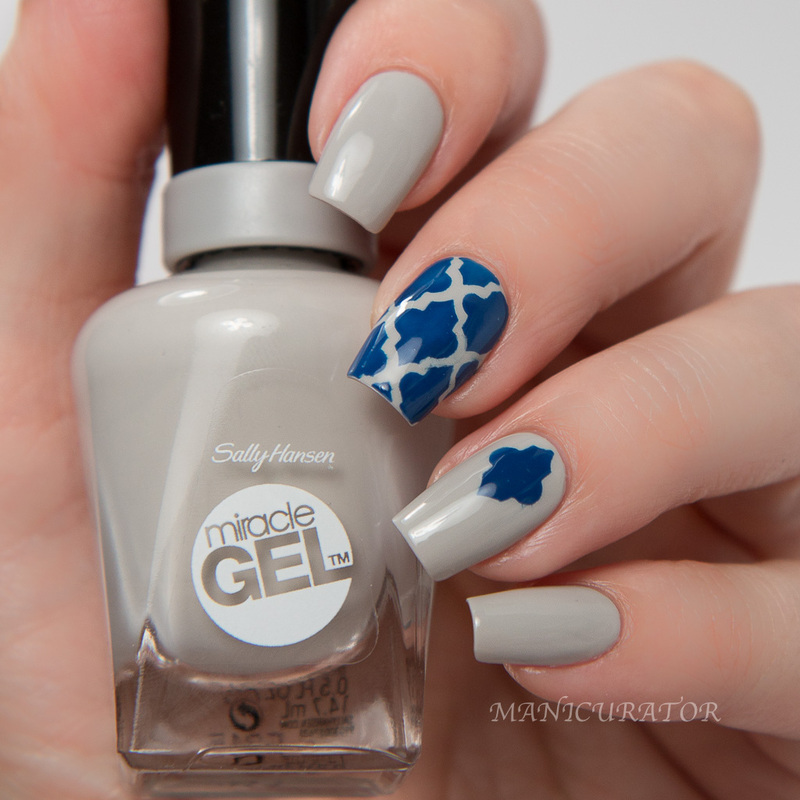 Sally Hansen Miracle Gel In My Suitcase - a beige grey, or greyed beige. Either way, I love it, and its name. I love to travel and have been feeling the itch to pack a bag a have a weekend getaway! Formula was good, 2 coats here plus Miracle Gel Top Coat. It took a bit longer to dry than my go to fast dry top coat, but not so long that it would deter me from using. 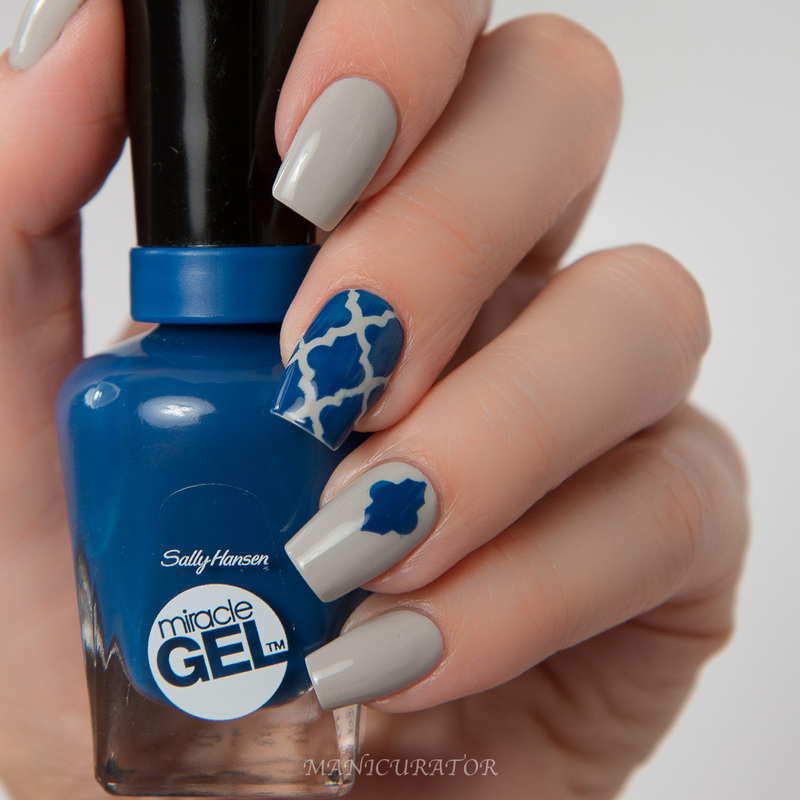 Sally Hansen Miracle Gel Take The Plunge - a bright blue creme. 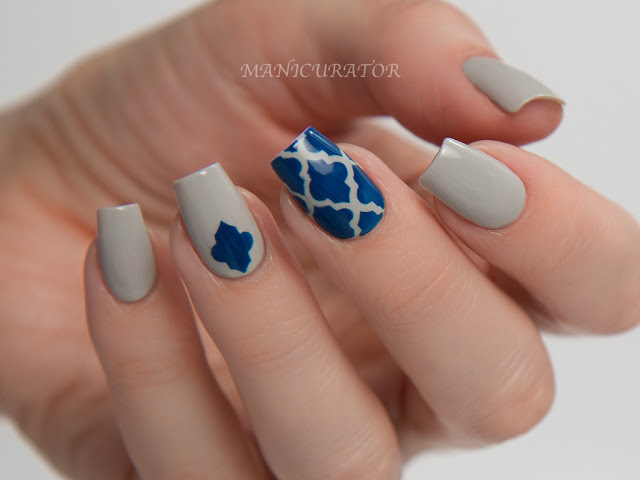 I used Whats Up Nails Moroccan vinyls which is one of my all time favorite patterns! This polish was super easy to work with and I barely needed 2 coats for the design. 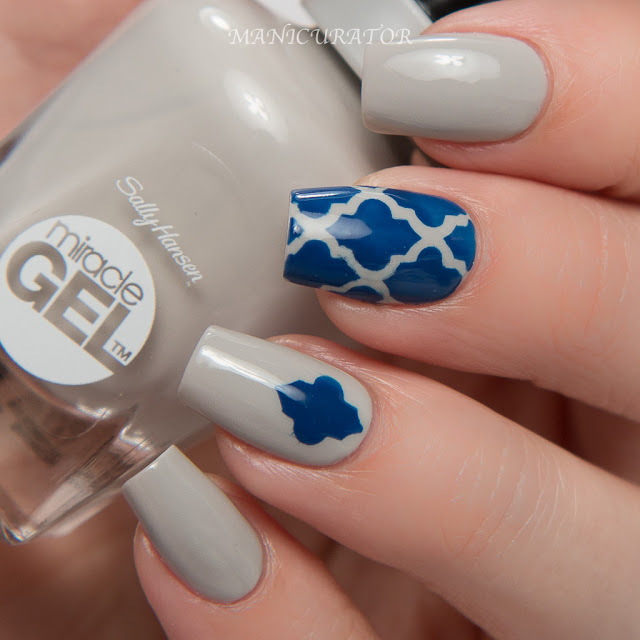 I was super happy that I had near zero smudging when I used the Miracle Gel Top Coat over the design.